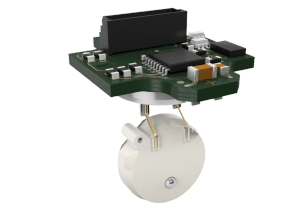 The Spot CDS500D suspended ceramic capacitance diaphragm sensor is designed for integration into the limited space in your specific vacuum instruments and systems. The miniature sensor is highly corrosion resistant as the alumina ceramic cell, the suspension and a weldable stainless steel feedthrough are all alumina coated. The sensor electronics provide a digital SPI interface for easy integration and safe communication. The sensor features a fast data cycle time for instant response to pressure changes, outstanding long-term stability and excellent repeatability. The sensor is provided in two versions, either factory calibrated with flange or uncalibrated with or without flange.